Materials: PVC bubble puffy stickers. Cannot eat ,Not suitable for children under three years of age. Color:We have a lot of styles, but we send them at random. 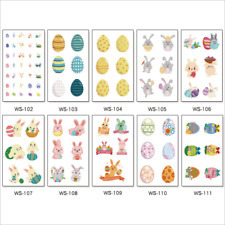 10 Sheets Easter Egg Rabbit Child Kids Reward Body Temporary Tatto Decor Scrapbooking Stickers. DIY sealing stickers, Christmas snowflake pattern. Suitable for all the occasion such as christmas, party etc. Can be used decroate your candy, Cake,biscuit,cupcake boxes or gift boxes. Material: paper. Material: Bubble. Color:As The Picture. Quantity: 5 sheet. Material: paper. Due to the difference between different monitors,the picture may not reflect the actual color of the item. Size: 44 44mm. We will do our best to solve your problem. Easter Eggs. 72 Stickers per sheet. Printed on Glossy Sticker Paper. Material: Bubble. Color:As The Picture. 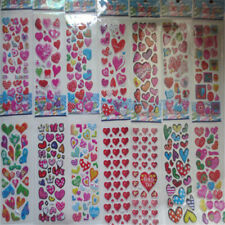 Function : Album sticker ,Scrapbooking decal, Sealing sticker etc. Adhesive : YES. Material : PVC paper. Size: 10cm Wide. High quality printed vinyl stickers. Decorate your beloved diary, notebook computers and personal space. Title: Christmas stickers. Note: Due to the difference between different monitors, the picture may not reflect the actual color of the item. Designed to fit: Mini Happy Planner. Printed on Matte Sticker Paper. 6 Quarter Boxes. 6 Half Boxes. To Go, To Clean, To Buy. Glitter Washi. 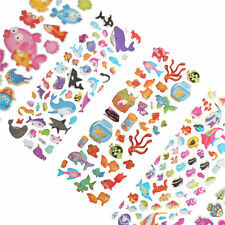 These stickers are made from wonderful materials that make them look as near to the real thing as possible. Jolee's use epoxy resin, wire, wood, plastic, fur, foam, beads, fabric, card, foil, buttons, lace & many other materials in their stickers. Size: 10cm Tall. High quality printed vinyl stickers. Use:Christmas decor. We will reply you ASAP. Size: about 3cm 3.5cm. Color:as pics. 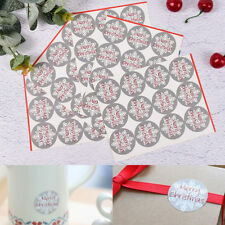 DIY sealing stickers, have mixed christmas pattern, such as Christmas Tree,bird etc. Suitable for all the occasion such as christmas, party etc. Can be used decroate your candy, Cake,biscuit,cupcake boxes or gift boxes.